Later that evening, while he was eating dinner, one of his front teeth, which had been loose for a long time, finally came out. 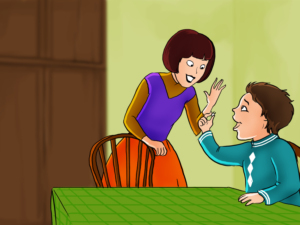 His mother said “Don’t forget to put your tooth under your pillow so that when the Tooth Fairy comes she can wave her magic wand and turn your tooth into some money.” Billy said “Yes mom.” and put the tooth into his pocket. Right after midnight, a bright shining light came down and hovered in the little boy’s front yard. It was the Tooth Fairy. 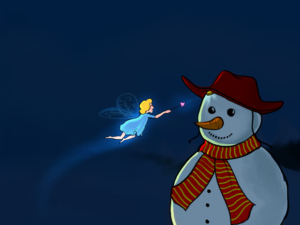 She went straight up to the snowman and smiled as she shook her head. 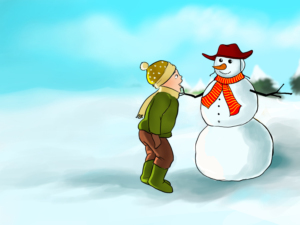 “That Billy, doesn’t he know that you can’t fool the Tooth Fairy?” Then she waved her magic wand and a cloud of fairy dust came down on the snowman’s head where Billy’s tooth was hidden under the red cowboy hat. In a bright flash of light, the tooth was turned into a new shiny quarter and the Tooth Fairy was gone. 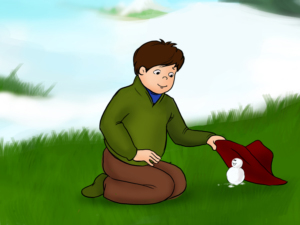 As the winter sun started to shine into his room Billy jumped up, got dressed, and then ran out to see his new snowman and whether or not the tooth fairy had found his tooth. 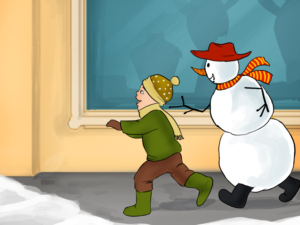 As Billy ran up to the snowman, he suddenly looked around and realized that something was different. There were funny tracks all over the yard in the snow and the snowman was in a different place than where he had been the day before. 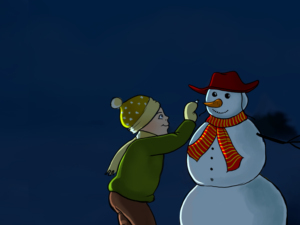 He walked slowly up to the snowman and got really close to the snowman’s face. 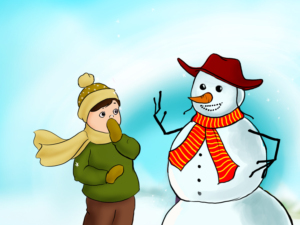 And right at that moment the snowman sneezed really loudly! Billy jumped way up in the air. He was really surprised, and a little scared. “You can’t be alive!” he shouted. 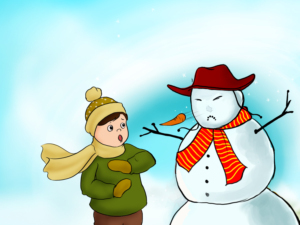 “Are you sure?” said the snowman rather nervously. He felt kind of bad for having sneezed and for scaring the little boy. 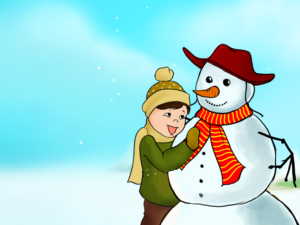 “A snowman can’t talk, or sneeze, or anything.” said the little boy. 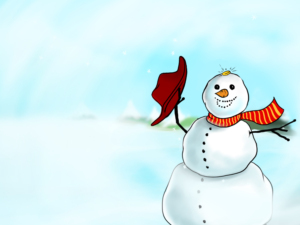 “Well, if you say so” said the snowman. He then lifted up the old red cowboy hat and picked up the shiny new quarter. “By the way, I think this is yours". 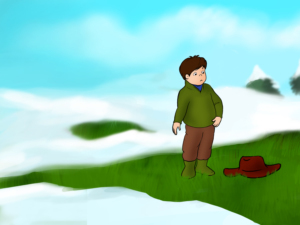 For the rest of the winter, the snowman and the little boy played every day from morning until night. They had more fun than any little boy and his snowman had ever had. 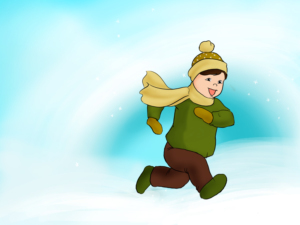 Finally, spring came and it began to get warmer and warmer until one morning when Billy ran outside to play, the snowman was nowhere to be seen. There was just the old red cowboy hat laying in the yard.